There is no doubt that investing in a trampoline is one of the best choices you can make that will provide years of unadulterated fun. Children outgrow their toys very quickly as they only ever cater to one particular age group at a time, however a trampoline is something that children and adults of all ages will continue to enjoy and use. With this in mind it is wise to opt for the largest size trampoline that your garden will accommodate. Children will want to jump on it right up into their early teens. The safety net ensures any nasty tumbles are avoided so your little ones can bounce until their heart’s content. The accompanying safety net is a fairly recent invention which has proved to be a major safety feature. Remember, it is important to take safety precautions by placing the trampoline away from any unsafe objects or obstacles, such as overhead wires, and sharp edges and corners. Off the ground trampolines are measured in diameters, and again, it is best to consider a larger one if possible, especially if there is more than one child in the family. Trampolining is great fun, great exercise and a great choice of outdoor toy. 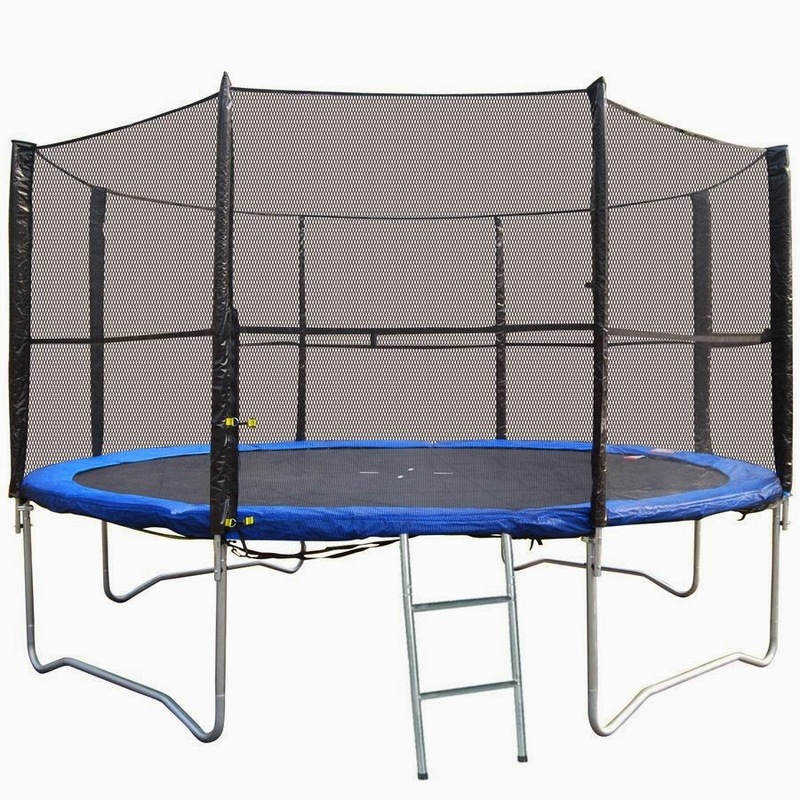 Choose from the smaller 6 foot trampoline with enclosure or the larger 14 foot trampoline – it is guaranteed to have everyone jumping for joy! A cheap trampoline will pay for itself many times over and provide hours of entertainment. With the current focus on keeping children active, it is a healthy and optimum way to encourage physical activity, lots of fresh air and a daily dose of fun-filled sport.